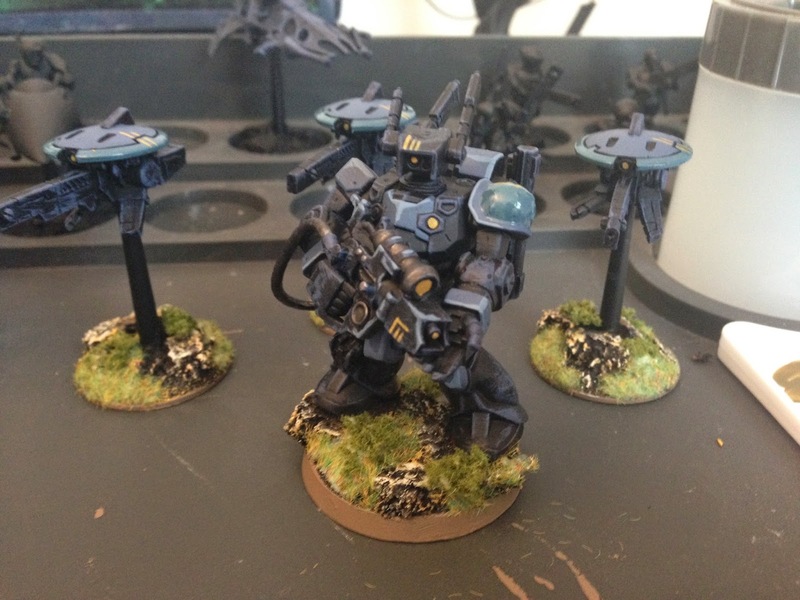 I've finished my Tau Sniper Drone Team. I'm VERY happy with how the Gundam Converge model worked out after a little conversion work. My plan is to add two more spotters, but use the standard GW models. I already have them assembled, based and primed. I just need to paint them.